Our vision is a world in which leaders and their communities claim the requisite drive, expertise and relationships to effectively and relentlessly wage peace. In the Holy Land, we envisage a time beyond the Israeli-Palestinian conflict, when diverse communities of American peacemakers will stand with both Palestinians and Israelis to sustain security, dignity and freedom for all. We imagine, too, that our unique model of conflict transformation will be replicated elsewhere—helping bring stability, healing and reconciliation to communities around the world, including here in America. In ancient Greek, the word “telos” describes a unique purpose or goal that is rooted in a fundamental principle, towards which all intentions and energies are singularly focused. Our telos is the freedom, security, and dignity of every human being in the Holy Land. While massive conflicts ravage the broader Middle East, we believe that resolution to the Israeli-Palestinian conflict remains an essential moral and security imperative for the world. We believe that a viable two-state solution remains the solution to the conflict. Yet we also believe that any policy or outcome—whether one-state, two-states, multiple-states, or some other solution—must be measured by how well it maximizes security, dignity and freedom for both Israelis and Palestinians in equal measure. And we welcome anyone into our fold who shares our values, including our commitment to support non-violent means to end the conflict, regardless of politics. Ultimately, Palestinians and Israelis bear responsibility for waging and sustaining peace. Yet resolution of this conflict is an urgent American interest. And peace will remain elusive without strong, bipartisan encouragement and assistance from Americans. Unfortunately, while Americans – and especially Americans of faith – are among the most influential stakeholders in the region, most have never met either an Israeli or a Palestinian or seriously encountered both Palestinian and Israeli perspectives. On the contrary, important segments of American society, and often its Christian faith communities, persistently advocate for one-sided postures towards the conflict. Such advocacy educates the next generation in near complete isolation from the peoples and present realities of the region. Telos reverses that reality by taking influential Americans from across the political and theological spectra on high-touch, multi-narrative pilgrimages to the Holy Land, and by bringing Israeli and Palestinian leaders and activists to the United States on speaking tours. As Americans come to care deeply about people on both sides of the Green Line, we inspire and equip them to build transformative pro-Israeli, pro-Palestinian, pro-peace movements in their own communities, aimed at radically improving the way the United States relates to that part of the world. In January 2009, Gregory Khalil and Todd Deatherage forged a most unlikely alliance. Greg was then a California-born lawyer, partly of Palestinian Christian ancestry, a longtime Democrat, and a former advisor to Palestinian leaders on peace negotiations with Israel. Todd is an evangelical Christian from Arkansas, a former Chief of Staff to a Republican U.S. Senator, and served in the George W. Bush Administration at the State Department. After first meeting as political counterparts in 2004, the two became friends and discovered that they shared a common understanding of America’s role in the Israeli-Palestinian conflict. From their very different starting points, each man had come to believe that peace in the region was vital to America’s national security interests, that a sustainable solution to the conflict would never be achieved without strong, bipartisan support from the United States, and that such support would not materialize unless and until Americans – and especially American of faith – became truly committed to the security, freedom, and dignity of both Israelis and Palestinians. Together, Greg and Todd saw a unique opportunity to make a global impact for peace by educating, inspiring, and equipping key American communities to actively pursue the common good for everyone in the Holy Land. In 2009, they left their former positions to launch the educational non-profit now known as the Telos Group. Since 2009, Todd, Greg, and their colleagues have led a steady stream of high-touch, multi-narrative educational pilgrimages to the region and organized numerous speaking tours for Israeli, Palestinian and international leaders. At the same time, the Telos Group has become a leading organization of America’s emerging pro-Israeli, pro-Palestinian, pro-American, pro-peace movement. Before founding the Telos Group, Greg lived in Ramallah, the West Bank, where he advised the Palestinian leadership on peace negotiations with Israel. Although Greg was born and raised in San Diego, California, much of his extended family still lives in Beit Sahour, a predominantly Palestinian Christian town near Bethlehem. He has lectured widely on the Middle East and has been published by The Review of Faith & International Affairs and The New York Times. Greg is a graduate of the University of California, Los Angeles and Yale Law School. Todd spent sixteen years in senior positions in the legislative and executive branches of the U.S. government before co-founding the Telos Group. From 2005 to 2009, he was Chief of Staff in the Secretary of State’s Office of Policy Planning at the U.S. State Department. He also spent two years as Senior Advisor in the Department’s Office of International Religious Freedom, where he specialized in religious freedom in the Middle East. Todd worked for a decade in the U.S. Congress, including six years as Chief of Staff to Senator Tim Hutchinson. He is a native Arkansan and a graduate of the University of Arkansas. He began his career as an educator. He and his family live in Fairfax County, Virginia. 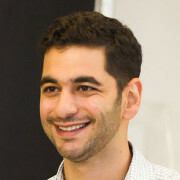 Jack has been involved in research and community organizing around the Israeli-Palestinian conflict for over a decade. This includes leading workshops and awareness raising activities for issues of citizenship, social justice and conflict transformation in his hometown of Jaffa. 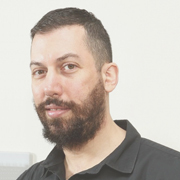 He currently oversees Telos programming in Israel/Palestine and makes it his personal mission that all participants walk away feeling fulfilled, enlightened and transformed. He is a graduate of George Washington University and has also worked in International Development before moving back to the region and joining Telos in 2015. 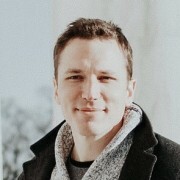 Jordan began his professional career as a public school teacher with Teach For America in Washington D.C. During this time he also helped start The District Church, where he was a founding member of the Executive Team and served as the Worship Director in both a volunteer and full-time capacity for six years. Jordan holds a Masters in Education and is a graduate of the University of Nottingham in the U.K. where he spent much of his time thinking of creative means to resolving conflict. As Director of Telos’ Christian Leadership Initiative, Jordan now spends his hours trying to move the church deeper into the practice of peacemaking as an act of discipleship. He is parent to a beautiful lab mutt named Shady. 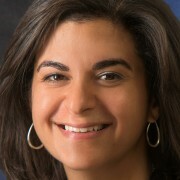 Sharon’s lifelong interest in the Middle East recently culminated in a master’s degree in international affairs from American University in Washington, DC, where she studied the Middle East and issues of identity and nationalism. During the course of her studies, Sharon spent time working in the congressional liaison office at the Jordanian Embassy in Washington and participated in an academic project doing research on the Egyptian economy for the U.S. Department of State. Prior to moving to DC for graduate school, Sharon attended Messiah College in Grantham, Pennsylvania, where she studied politics and history. 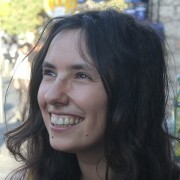 Marina was born in Ukraine and raised in Germany. She studied sociology in Munich and received her Master’s in International Migration from Tel Aviv University researching conflicts between immigrant communities in Israel. Upon graduation, she worked with children of asylum seekers in an alternative setting and educated on urban conflict in South Tel Aviv. Recently, she received specialized training in Holocaust history from Yad Vashem where she is now a guide. 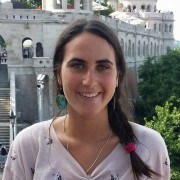 Prior to her time in Israel, Marina spent a year in Georgia (Caucasus) as a JDC fellow where she worked with the marginalized Jewish community in fostering cross-cultural partnerships and spearheaded a grassroots support group for women at risk. Carly grew up in Australia and now lives in Jerusalem. Her love of languages led her to study Linguistics and Arabic at the University of Melbourne. 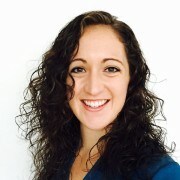 She has extensive experience as an informal educator and facilitator through working with Jewish youth in Melbourne. She is passionate about social justice issues and worked previously with “The Big Issue”, a non-for-profit social enterprise that develops solutions to help homeless and disadvantaged people. In 2017, she spent five months volunteering with Israeli and Palestinian human rights activists, and leading educational tours for Jewish American groups to the Palestinian territories. Christina, a recent Philosophy honors graduate of Furman University, is our 2018-2019 Fellow. During this year, she is assisting us in several roles—from research to development and communications. Her passion lies in facilitating conversations between marginalized and disparate groups as evidenced by her past service work involving people with disabilities, the elderly, and the homeless. Her fascination with the Israeli-Palestinian conflict emerged after studying at Jerusalem University College in the summer of 2017. She hopes to return for at least a portion of her higher education, potentially specializing in Middle Eastern Cultures and Religions or Old Testament. Bishop Crudup is the regional bishop for the Mid-South Diocese of the Fellowship of International Churches and senior pastor of New Horizon Church International, which he founded in 1987. Ronnie earned a Bachelor of Science degree from Jackson State University and a Master of Divinity degree from Reformed Theological Seminary. He is founder and president of the non-profit New Horizon Ministries, Inc., which operates five community-based programs in the city of Jackson. Ronnie is co-founder and CEO of the Mississippi Faith-Based Coalition for Community Renewal. 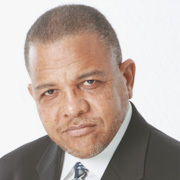 He serves on the board of numerous local, state and regional community development organizations. He is a frequent speaker in schools, churches and prisons across the country. He is host of “New Horizon Presents” and “The Issues”—a television broadcast ministry—and is passionately involved in international missions in Malawi, South Africa, and Zambia. Thousands know him by his signature statement “To Count It All Joy.” Ronnie and his wife, the former Jacqueline J. Frazier, have been married for over 36 years. They are the proud parents of four children: Ronnie Jr., Nadia, Hillman, and Arlintha. They have five grandchildren: Amari, Ayinde, Nya, Isaac and Robin. 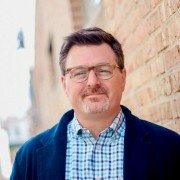 Dave is the Executive Pastor at Parkview Community Church in Glen Ellyn, IL. Prior to joining Parkview in 2009, he served as the Executive Pastor at River Pointe Church in Sugar Land, TX. During his nearly 10 years at River Pointe, he served as the Pastor of Student Ministries, the Pastor of Creative Development and as the Executive Pastor. His mission is to help individuals and organizations move closer to their God given path. In addition to his pastoral role, he serves as the Chicago Metro Director for Living Water International. 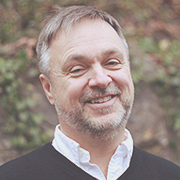 He’s a husband, father, author, wanderer, and the founder of The Ashland Group, a strategic consulting firm designed to help churches, not for profits and corporations. Annie Kate is a TV producer whose career has included domestic and international news and unscripted TV. Pons developed and discovered talent for Relativity, Ellen Rakieten Entertainment, Lifetime, OWN, GSN, VH1, Oxygen, and MTV. 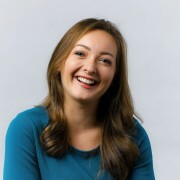 Annie Kate’s eye for talent was groomed in Washington, DC as a news booker for FOX News and Al Jazeera English. The high-speed and intense nature of the 24-hour news cycle conditioned her to cut through the clutter and find interesting points of view and new talking heads for networks. 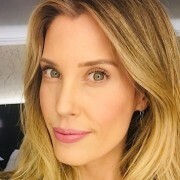 Annie Kate created the hit show Chrisley Knows Best on USA, and seven seasons later, she continues to find interesting voices and stories of families and communities across America. Currently, Annie Kate is partnering with A&E and GoodStory Entertainment to produce a family docuseries about a former mobster turned family man. She lives in Los Angeles with her husband and two children. 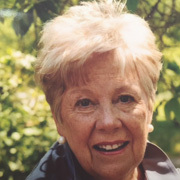 Mary Kay recently retired after twenty-five years of teaching, many of those on the subject of world religions in a school in the Washington, DC area. After early years teaching on an Indian reservation in Montana, Mrs. Turner pursued graduate studies in humanities with a focus on Indian art and music and later researched alternative education programs, helping to found Summit High School and The Learning Center in Wyoming, a program for developmentally disabled young children. Most recently she completed an appointment to the Defense Advisory Committee on Women in the Services (DACOWITS) and is presently on the White House Commission for Presidential Scholars. Because of a lifelong interest in education, Mrs. Turner visited the Christian schools in Palestine and works towards raising awareness for their needs and assists with scholarships to sustain them. 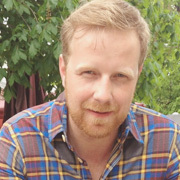 Daniel Wehrenfennig, Ph.D. is the executive director of the Olive Tree Initiative, an award-winning international experiential learning program that brings students and community members on annual educational fact-finding trips to conflict zones around the world (Middle East, Caucasus). He also directs the Certificate Program in Conflict Analysis and Resolution at the University of California, Irvine (UCI). He has produced a documentary film for civic education in Malawi/Africa. His recent work has been published by Peace Review, Communication Theory, the University of California Press, Lexington Books and Studies in Ethnicity and Nationalism. Carolyn Weimer has worked in the Investment Management industry for the past two decades and currently works in the Investor Relations Group of a large Alternative Asset Manager. In that role, she represents her firm and its funds to institutional investors throughout the United States. In prior roles, she has focused on product development, relationship management, fund formation, marketing strategy and communications. Carolyn received an A.B. in biology and comparative area studies from Duke University and lives in Northern Virginia with her husband and three children.